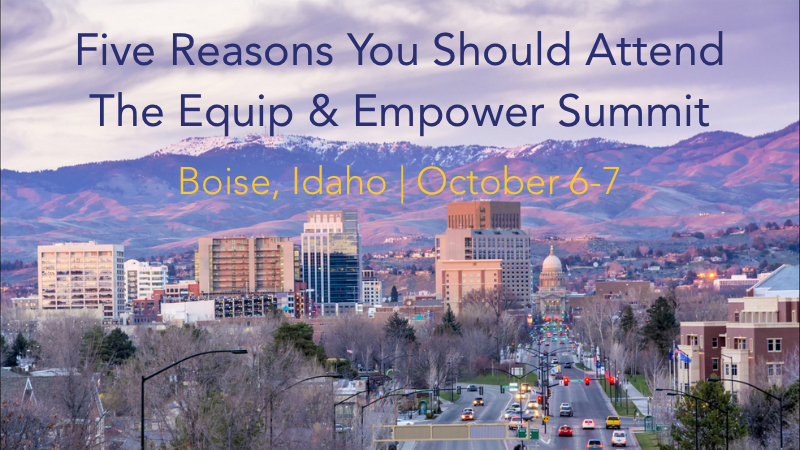 The Equip & Empower Summit will be two days of fun-filled training held in Boise, Idaho, October 6th and 7th. If you are a captioner and are thinking about attending, here are FIVE reasons why you should register TODAY! 1. It’s time to move your career forward. Everyone feels stuck in his or her career at some point. Whether you’re looking to transition from judicial reporting into captioning or you are captioning already and need some inspiration, the Equip & Empower Summit is just what you need! You will walk away from this event having a new sense of passion for our industry and the people we serve. Being around other like-minded professionals will encourage you, inspire you to grow, and move your career forward! 2. Be a better all-around captioner. Beyond the writing skills you need as a realtime captioner, you also need to know what kind of equipment is required and how to ask the right questions of your prospective clients before you even agree to take the job. Increase your knowledge base by learning more about software, equipment, and tools that can help you do your job even better! Work smarter, not harder. 3. Gain true confidence in your skills. We were all so proud when we graduated from reporting school! And each time we add a new certification to our list, we secretly high five ourselves, don’t we? But, there is a difference between certification and EXPERTISE. Do you want to be “certified” or ready with true confidence in your realtime writing skills? You’ll learn about how making a few simple changes can improve your writing and confidence at the Equip and Empower Summit! 4. Have the competitive edge. Competition can be fierce. Some of us don’t even want to enter the game. But what if you had the skills, knowledge, and confidence to take on ANY job? Would you be willing to compete for a job then? Say YES to more jobs and make more money! 5. Learn from the best of the best in the industry. If you attend the Equip & Empower Summit this fall, you will receive an education and tools from two of the industry’s top experts in captioning with over 50 years of combined experience! Equip and empower your realtime world AND increase your earning potential with Jen Schuck, FAPR, RDR, CRC, CRR, and Anissa Nierenberger, RPR, CRR, CRC, CRI. Join Jen and Anissa for a special Facebook Live presentation about the conference on August 14 at 8 PM ET – 5 PM PT. Save the date! See you in Boise in October!